The Toronto Symphony may be coasting as it awaits its new music director and the Canadian Opera Company is playing it safe. 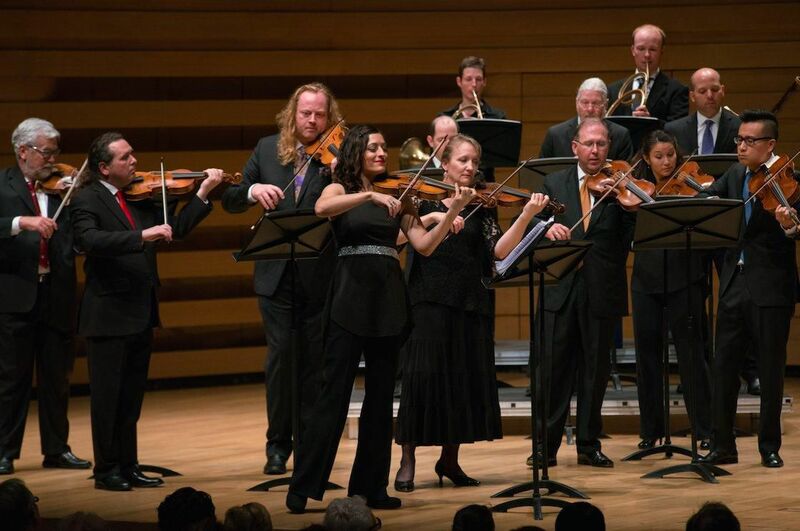 But Tafelmusik Baroque Orchestra is going out on a limb for its 2019-20 season. The ensemble that usually plays on instruments from the 17th and 18th centuries is kicking off the fall with a concert featuring the music of 19th-century composers Felix Mendelssohn and Peter Ilyich Tchaikovsky. Not only that, the opening program also includes the world premiere of a commission by Andrew Balfour, a Canadian composer of Cree heritage. It’s one of six programs next season featuring new pieces of music. This is a radical way for Tafelmusik to celebrate the 40th anniversary of its founding. It might soon have to ditch the Baroque part of its moniker, even though music from that era continues to be the backbone of its repertoire. Music director and violinist Elisa Citterio, who officially took over last season, says she and her colleagues are excited to be branching out. “When I had my first interview with the orchestra, they asked me about my interest in expanding our repertoire. I said yes, absolutely,” she says. She suggested Tchaikovsky’s Serenade for String Orchestra because it offers an opportunity for the violins, violas, cellos and double-bass to work together on the different techniques required to play Romantic compositions. The bow is longer and is applied differently. “The cantabile (making it sing) is different. The portamentos (slides from one note to the next) are different,” she explains. There are so many changes in the style of playing that Citterio has hired an expert to rehearse with the orchestra next fall and to play cello with them in the concerts. “You will hear how it will be a more transparent sound,” says the violinist, compared to the sound of a modern-instrument ensemble. The Serenade is joined by Mendelssohn’s String Symphony No. 7 and the “Scherzo” from A Midsummer Night’s Dream, arranged by Carlo Citterio, her brother. This program will be offered Sept. 18 to 22 at Koerner Hall. Elisa Citterio is getting into the arranging game herself, offering up her take on J.S. Bach’s keyboard masterpiece, the Goldberg Variations, using all 19 core members of Tafelmusik. These concerts will take place at Trinity-St Paul’s Centre, the orchestra’s home, from April 22 to 26, 2020. There will also be a performance at George Weston Recital Hall on April 28. Even here there is a premiere, by Baroque flute master Grégoire Jeay. Another fresh creation on the season’s agenda is The Indigo Project, a new multimedia piece by former Tafelmusik bassist Alison Mackay. It will run Feb. 27 to March 1 at Trinity-St Paul’s and March 3, 2020 at George Weston Hall. Although the season remains rooted in the Baroque, Tafelmusik is stretching its legs (and arms) under its new music director. Isn’t it good to know there are still ways to learn and grow after you reach 40?